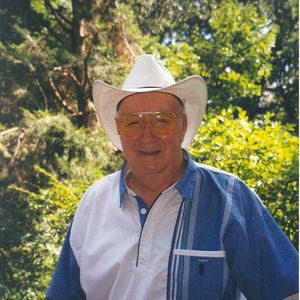 Lionel Leo A. Landry, 84, husband of the late Alice (Cabral) Landry died suddenly on Friday (April 14, 2006). Born in Hartford, Leo was the son of the late Joseph and Lucia (Provincal) Landry. He leaves to mourn his three children, Clifford Landry and his wife Barbara of Windsor, Pamela Howard and her husband Robert of Windsor, and Craig Landry and his wife Becky of Tolland. He also leaves seven grandchildren, April Howard, Allen Howard, Lisa Neyer, Dean and Brianna Landry, and Amanda and Eric Landry; and a great grandson, AJ Howard. He also leaves very special sister-in-laws, Paulette Landry, Jacqueline Landry, Mary Mansani and Rose Nolan; a brother-in-law, Joseph Cabral and many nieces and nephews, including a dear niece, Mary Walters. His brothers, Rene, Gerard, and Joseph Moe Landry and his sister, Aline Harris predeceased him. Leo retired from the Connecticut Refining Company and worked in the heating and supply business his entire life. His most recent position was with Plimpton and Hills. Leo served for 2 and ½ years in the Pacific as a Sergeant in the U.S. Army Air Corps, 35th Fighter Group as a mechanic and propeller specialist. He spent his retirement flying out of Skylark Airport, where he shared his love of flying. His family would like to thank the Windsor Volunteer Fire Department and all those involved in the efforts to save Leo. They would also like to thank the Roger Wolcott School staff for making his daily living tolerable after the death of his Pudgy in 1995 with a week-day fill up of hugs and attention. Family and friends may gather on Thursday 8 a.m. at the Carmon Windsor Funeral Home 807 Bloomfield Ave, Windsor; followed by a Mass of Christian Burial 9 a.m. from St. Joseph Church, Poquonock. Burial will follow in Veterans Memorial Cemetery, Windsor. His family will receive friends on Wednesday from 2-4 & 6-8 p.m. at the funeral home. In lieu of flowers memorial donations may be made to the Windsor Volunteer Fire Department 340 Bloomfield Ave Windsor, CT 06095.